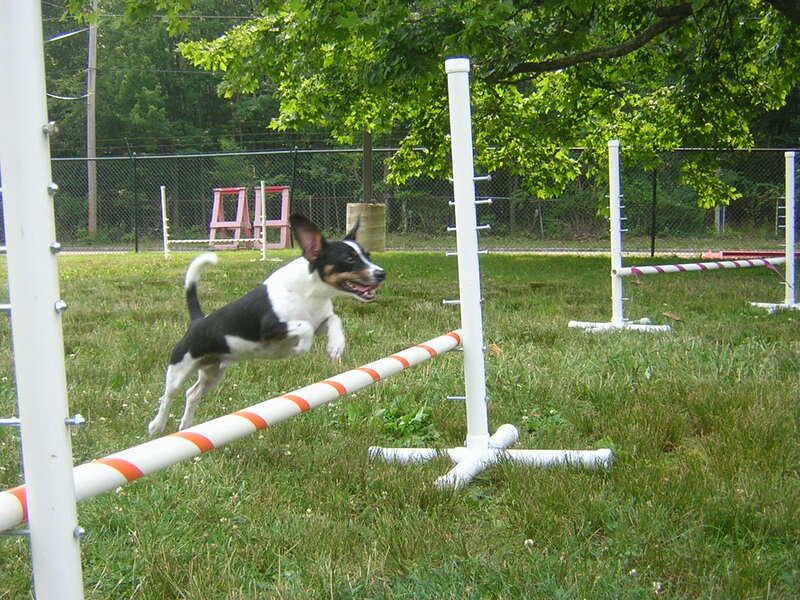 Scraps the Dogs has progressed nicely in his agily abilities but his inability to successfully complete the teeter has limited his ability to qualify in a standard agility course. He has been disqualified twice for flying off of the teeter in a dangerous manner. Not to dispair, Kathy and Scraps decided to work on it and on October 3, 2007 we headed out to the St. Hubert’s practice field started to work. If you see how Scrap’s tail wags you can tell it isn’t really work for him. This little teeter practice session proved quite fruitful as you can see in the video.